Awesome time at Sao Paulo, Brazil! 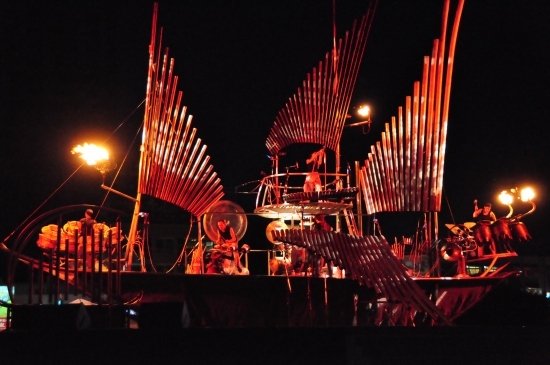 The Pyrophone Juggernaut was set up at Anhangabau in Sao Paulo for Virada Cultural festival. We did two dress rehearsals on Friday night and had 4 performances on Saturday night into Sunday morning. Our first performance was at 8pm, then midnight, 3am and 4am. The audience was absolutely fantastic, the support fabulous and we had a great time! We love the Brazilian audience as they were so responsive and warm. We spent some time sightseeing after the gigs and were guided by some lovely people we met there. Special thanks to Marcelle for the driving and sightseeing with us, Paulo for the amazing photos and all the staff of Virada and Australia Now (Mark, Marco, Mari, Juliana, Fernanda and everyone else) for making it happen! Looking forward to returning to Brazil in the future! The weather gods might well have been smiling upon the Pyrophone on the the cool 22°C evening we performed in Paramatta. Conditions were perfect for our show. The same can’t be said for the day before when Sydney hit it’s hottest day on record with a high of 45.7°C,…it hit 50°C in Paramatta! It felt like being in an oven! A total fire ban was in place and the air was thick with a sticky unrelenting heat. 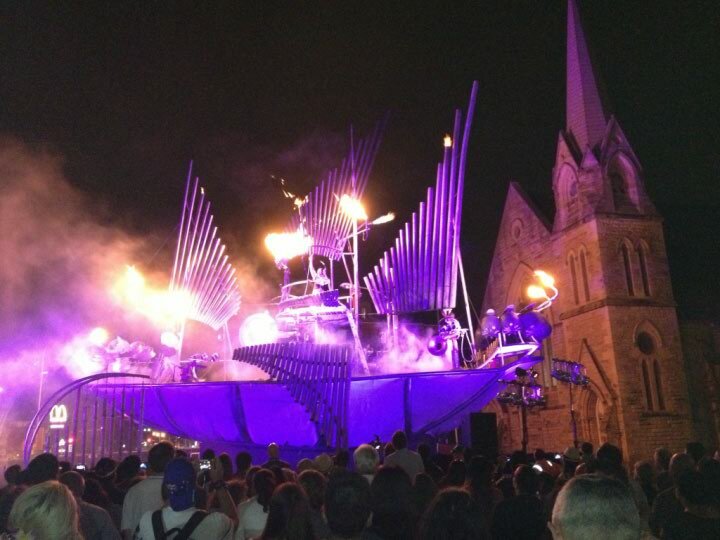 This didn’t stop 20 firemen coming to our pre-show safety check (pyromaniacs all…). While the Pyro build crew sweltered getting the finishing touches ready for rehearsals, the other performers did mad dashes to the local convenience store for ice, water and slushies! But the event ran smoothly for our three shows and as always, the performance went off with a bang! Thanks to everyone at Sydney Festival for your warm welcome.